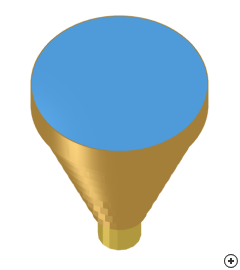 Image of the Axial choke horn with a dielectric lens . 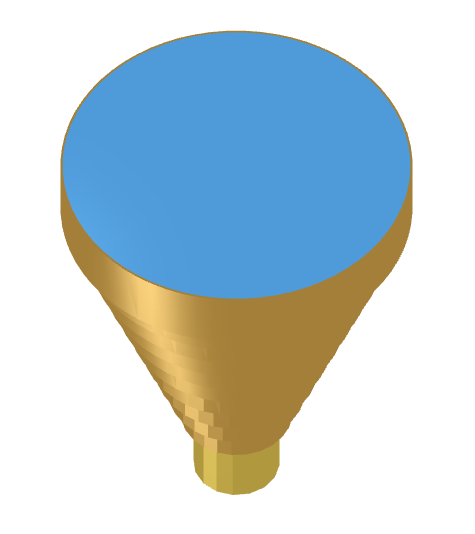 By increasing the flare angle and adding a dielectric lens in the aperture of the horn, a more focussed, narrow symmetrical beam can be achieved with a horn structure that is physically smaller when compared to an axial choke horn without a lens and the same gain. Gain comparison between an axial choke horn with and without a lens. Lens horn 18 dBi gain pattern. 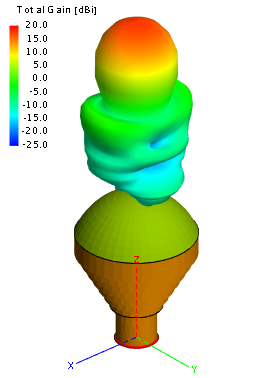 Antenna Magus uses a simple Meniscus lens. It should be noted that lens systems on horns are limited to use within certain physical restrictions. 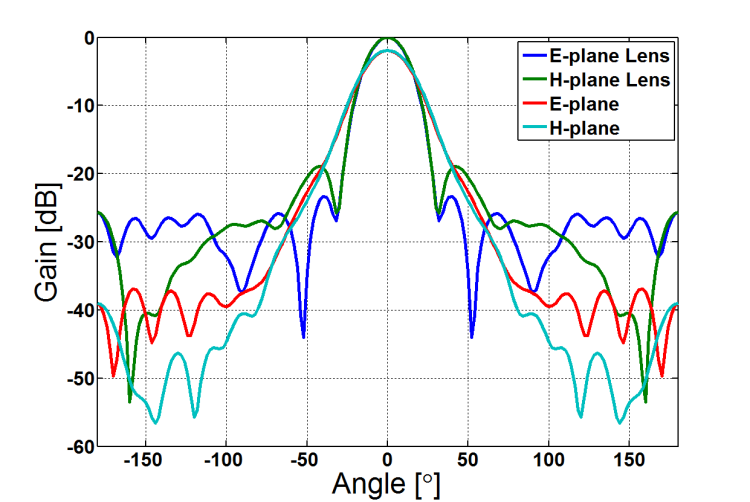 For example, the minimum flare angle is determined by the lens material. The gain pattern shown above is for a horn designed for a gain of 18 dBi and a lens material with a relative permittivity of 2.56. The pattern cuts shown in the left image compare the performance of an Axial-choke horn with a dielectric lens designed for 18 dBi, to that of the identical structure with the lens removed. 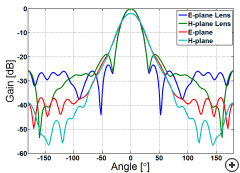 The lens increases the total on-axis gain by 2 dBi and improves the main-beam symmetry.